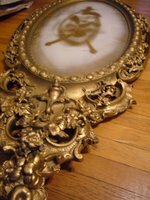 Thanks to a whole bunch of help from Trent, my gold antique mirror is back together and ready to be hung up! 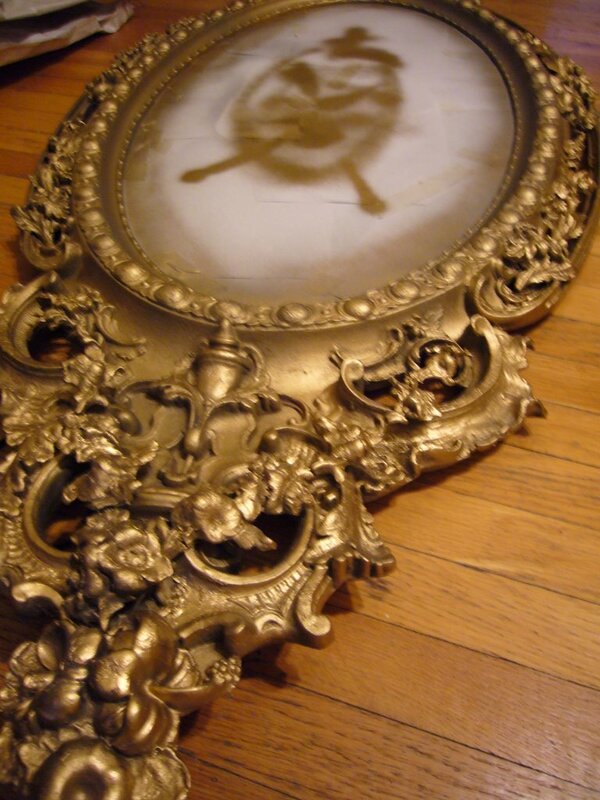 Rob and Trent painted it last night (this photos is of the mirror drying, the mirror part is masked in the middle). We didn’t end up using the PoYo Putty at all, just glue and wood putty to put back together the side that was broken. Now I just have to choose a place to hang it in the apartment! It’s about five feet tall and three feet wide. That is a whole lot of mirror!